Reckon yourself in an at-home-feel boutique hotel incorporated in a luxurious surrounding with splendid sizzling food and the tranquility of the outskirts of Coimbatore on a reasonable budget- This is what The Arcadia offers. 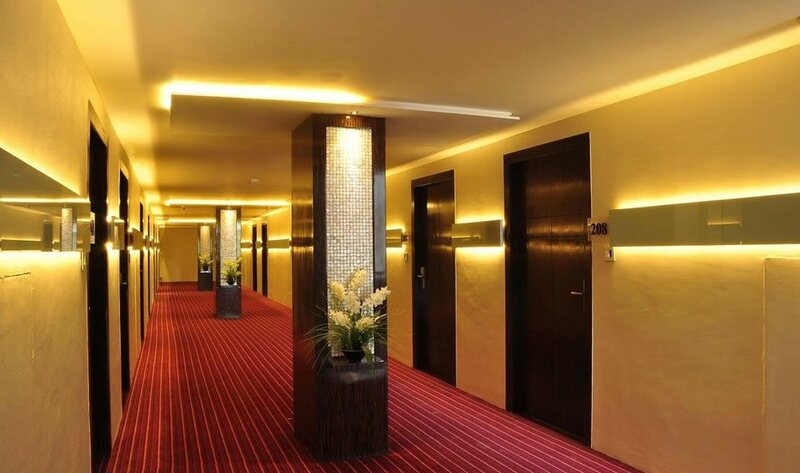 With trend setting concepts, stylish designs and located close to the Airport and prominent IT Destinations located on Avinashi Road - The Arcadia is ideal for Business Travellers who expect sheer luxury and modern convenience. 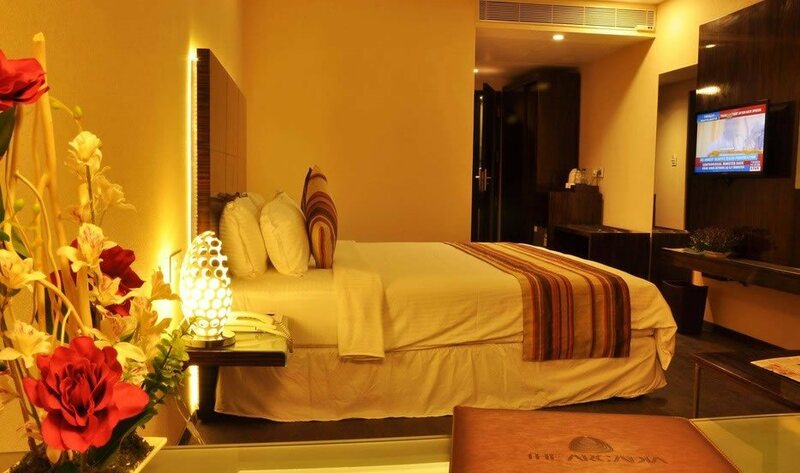 Within a short distance from KMCH Hospital and just a 2 minute drive from Tidel Park - The Arcadia features 35 well appointed Guest Rooms including 3 Suites, A Rooftop Restaurant, Meeting & Convention Halls, Spa, Permit Room and A Pub. An oasis of comfort awaits as our stylish and elegant rooms offers superior mattresses, rain forest showers, wireless internet access and wide screen LED televisions to put you in the right frame of mind. Enrich your stay by exploring our innovative international cuisines at our scenic rooftop restaurant which offers sumptuous array of foods to treat your taste buds. 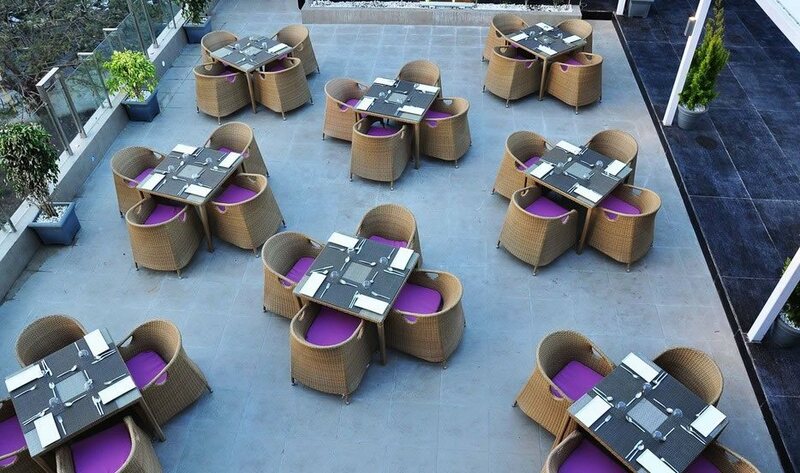 From hearty breakfasts in our beautiful dining rooms to Dinner at the rooftop is a unique experience. Our Menu apart from multi cuisine also offers traditional and regional fare. 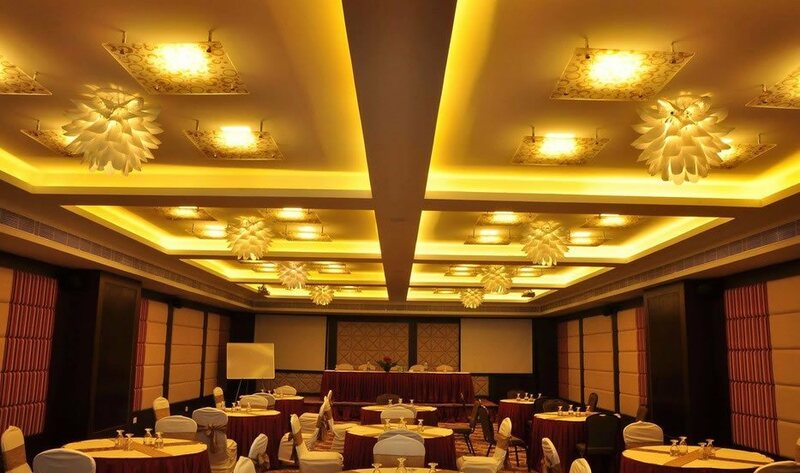 Be it a product launch, business meet, press conference or family gathering our state of the art convention halls coupled with latest communication devices will promise you a wonderful conferencing experience. Catering facilities for delegates is also available. We also specialize in birthday parties, private and corporate functions. If you are looking for a fun memorable way to chill or a spirited night out – all you have to do is walk in, grab a drink of your choice and unwind. Sip on cocktails, spirits and your favourite drinks that our team will be happy to mix for you. Choose from a range of domestic and imported wines and spirits, and an assorted selection of bar snacks. 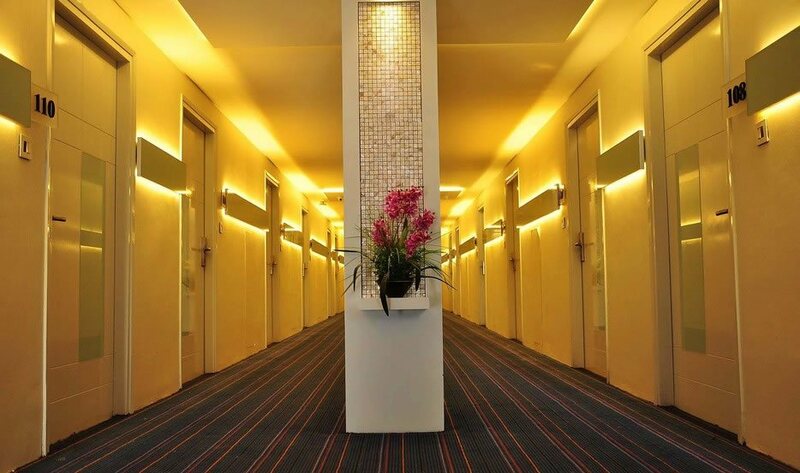 The Arcadia is one of the budget hotels near Tidel Park, Coimbatore. We provide excellent room services in various locations close to KMCH Hospital, Codissia.